Earlier this week saw the big announcements from Apple that everyone’s been waiting for regarding the direction of their product lines. We saw announcements around the Apple Watch, Apple TV and iPhone, but it left me wondering whether the changes are significant enough to justify upgrading. Don’t get me wrong, I love my Apple Watch Series 2 and I’ve only taken it off to sleep (when it gets charged) since I bought it. I find myself making good use of it for things like sending a quick response to a message, or having a handy reminder of up-coming events, as well as for travel. In my mind, the investment that I made was more than justified. One thing that I’ve only tried once, was making a call from my watch. Sure, it was cool to feel like I was talking to K.I.T.T. from Knight Rider, but it wasn’t an experience that I felt compelled to repeat! 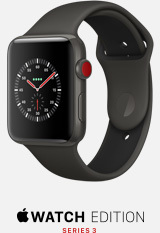 So the inclusion of cellular technology to enable the Apple Watch to operate without being in close proximity with an iPhone felt initially a little gimmicky. On reflection though, it started to make sense. If you’re using the Apple Airpods (or similar), you can now leave your phone behind when out jogging, or at the gym, for example, and still be able to stream your music via the cellular service in your watch, and still stay online, if you want. Impressively, they’ve been able to add in this additional technology without a significant increase in case size, other than a depth increase equivalent to 2 pieces of paper! There is a “but” coming – and it’s a big one for me. When they listed the carriers who would be supporting the new Apple Watch Series 3 in the UK, it was just a single company – EE. I suspect that this is down to a willingness to support the new electronic SIM that Apple have introduced, and it means that I’ll have to wait until Vodafone adds their support before I can even consider an upgrade. Will I be upgrading? Not yet! The big announcement for the Apple TV was the upgrade to 4K, with an HDR (High Dynamic Range) colour palette. There’s no denying that this looks great, but be aware that you’ll need a 4K TV to take full advantage of it! The other thing to consider is that there seems to have been a slow down in adoption of the Apple TV of late. People are realising that they can get the same sort of functionality from a Roku box or an Amazon Fire, for example. 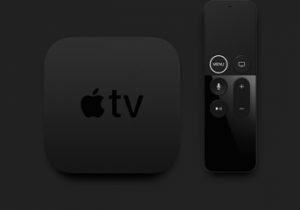 Where this gets more interesting for me is the announcement that the new TV 4K will integrate with Apple Home, giving you a bridge to control your SmartHome devices via Siri, even when you’re not physically at home. Will I be upgrading? No – I never bought an Apple TV, as I didn’t see the need. I can’t see this changing going forward. This was the one we all thought we’d been waiting for – the successor to the iPhone 7 and 7+. It seems to be pretty much the same phone, with some minor upgrades, mainly to the display quality (it’s not Retina HD, rather than just Retina) and comes with the new A11 Bionic processor, so it should be a little quicker, too. It does come with the addition of wireless charging, which I think is awesome, but we need to remember that this is something that the competition has offered for quite some time. To be honest, when the iPhone 7 was announced, I couldn’t even get excited enough to upgrade from my iPhone 6s, which I’m still using, and even this new model isn’t tempting me. The changes are too subtle, and the product I have works too well for me to invest in the iPhone 8. Will I be upgrading? No – what’s the point? It turns out that not satisfied with releasing a single iPhone, Apple actually chose to announce two! 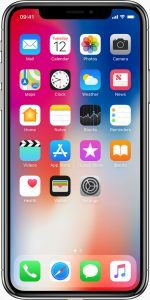 The iPhone X (pronounced “iPhone 10”) is the latest and greatest iPhone ever to be released. We seem to have skipped 9 and gone straight to 10 (er, ‘X’, but call it ’10’) as a way to celebrate the 10th anniversary of the first iPhone. Anyway, this too is based on the new A11 Bionic chip, but this has a Super Retina Display (which is better than a Retina HD display, as this one is ‘Super’, or something). 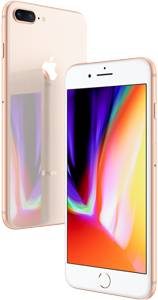 It’s a slightly larger display (5.8″ diagonally, versus the 4.7″ of the 8, and 5.5″ of the 8+) in a more compact package, thanks to the way the screen has a smaller border. Apart from the obvious changes in how we interact with the phone (there’s no home button, remember? ), the biggest change is how we unlock it. We all thought we were highly secure with the fingerprint sensor on the older models, as everyone has unique fingerprints, right? it turns out that due to limitations of the technology, there was a 1:50,000 chance that a random stranger could unlock your phone (and use Apple Pay!). With the iPhone X, the security is now handled via a complex, 3D model of your face, which increases the chance of being fooled to 1:1,000,000. I was really impressed by how quickly this system seemed to work, given the amount of processing required! Another new feature which uses the improved facial recognition functionality, is that you can have a new kind of emoji, called an Animoji, which can mimic your facial expressions. Whilst I’m sure this is really cool and will appeal to the younger generation, I’d be surprised if many users actually use this more than once. Ultimately, it seems like a great phone, but is it enough of an upgrade from an iPhone 6s to justify suing £1,000+? In summary, I was quite disappointed with the announcements this time round. We didn’t see anything that was really groundbreaking enough to justify upgrading from current technologies. Sure, the Face ID on the iPhone X is amazing technology, but I see little value in upgrading my phone just for that. There was a brief mention of “Air Power” coming next year, which will take wireless charing to the next level. Once that’s here, maybe it starts to make sense to upgrade, but for now, I’m happy with everything I already have. What are you thoughts on these new products? Let me know in the comments below.